Trenbolone Acetate represent a powerful mass builder 19-nor steroid. Structurally it is similar to nandrolone; with the difference that is a much stronger androgen and its estrogenic activity is lower than nandrolone one. Trenbolone proprieties are much stronger than testosterone once. This steroid is considered to be the drug that binds most tightly to the androgen receptors available these days. Trenbolone help to promote red blood cell production and to increase the rate of glycogen restoration. It was noticed too that this drug increases nitrogen retention in muscle tissue. All of these proprieties are beneficial on muscle gain, hardness and strength. Trenbolone is taken by bodybuilders/athletes not only in bulking cycles but in cutting too. It works well as a fat loss agent. Trenbolone is also appreciated because of its proprieties to increase the level of the extremely anabolic hormone IGF-1 within muscle tissue. As many steroids, Trenbolones effects depends of the dose is taken, as higher dose is as pronounced results are. Trenbolone doesn’t have the proprieties to aromatize, that’s mean that such side effects as water retention and gyno will not occur. But bodybuilders/athletes should remember that this drug shut down the body’s natural testosterone production, which can lead to sexual dysfunction. 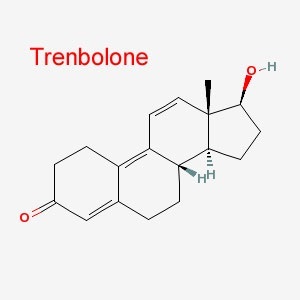 Trenbolone acetate represents an injectable steroid that has a short ester attached. Its active life is 2-3 days, although detection time is to 5 months. The acetate ester provides quick and high concentration of the hormone which has positive effects to bodybuilders/athletes looking for rapid and quality gains. As we said earlier Trenbolone acetate can be taken both in bulking and cutting cycles. Testosterone undecanoate represent an oil based steroid that comes in capsules. It is absorbed as fat through the small intestine into the lymphatic system bypassing the liver. Testosterone undecanoate is converted to DHT in the body and therefore aromatizes very minimally if at all. Also a good fact about this drug is that estrogen related side effects rarely occur, making testosterone undecanoate a good choice for bodybuilders/athletes sensitive to water retention, fat gain and gynecomastia. As we said earlier it is mild to the liver too. In most cases testosterone undecanoate is chosen in cutting cycles. Testosterone suspension represents water based injectable steroid. In our days some pharmaceutical companies produce it as an oil or propylene glycol solution. It is considered to be the efficient and powerful drug by bodybuilders especially because of its characteristics – it has no ester attached. As all testosterone drugs, suspension is both anabolic and androgenic. But its anabolic proprieties will be sensed much more quickly than could ever be expected with many other steroids. Testosterone suspensions active life is about 24 hours. Having the proprieties to rise the storing of glycogen in the muscle cell and because it is dissolved in water, Testosterone suspension becomes effective immediately after administration. Bodybuilders/athletes choose this steroid in pre-contests period. This drug clears the body quite quickly, its detection time is one day and it is one of the most potent mass agents. Suspension provides the incredibly rapid and best results in terms of body mass building. This is the reason why it is part of most bulking cycles. 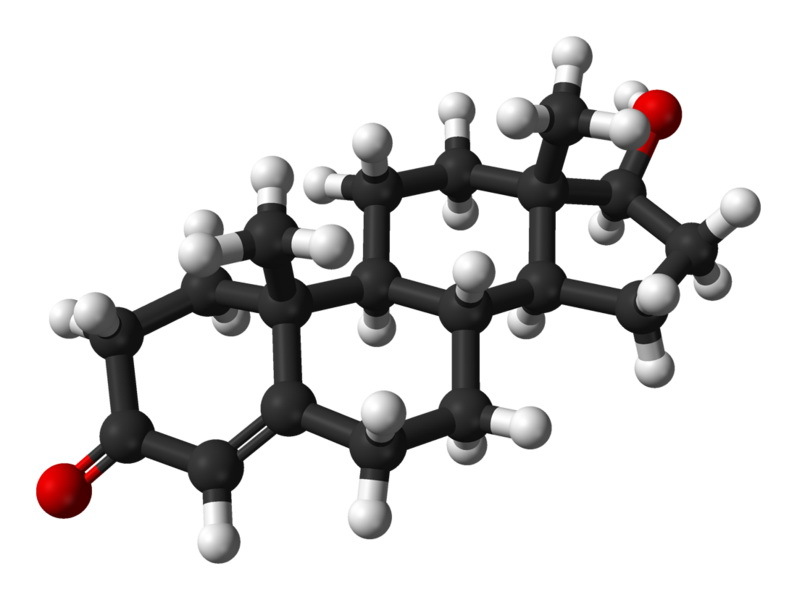 Testosterone suspension is often taken to increase aggression and strength. Testosterone suspension has the proprieties to shut down the HPTA and as all testosterones can convert to DHT and estrogen. That’s mean that its side effects are typical with any other testosterone: water retention, gyno, hair loss, prostate enlargement, oily skin, acne and oter. To minimize or even to exclude negative effects sportsmen stack Testosterone suspension with Nolvadex and Proviron. More sensitive bodybuilders/athletes should take the anti-aromatize supplements, as Arimidex, Femara, or Aromasin. Friday June 17th at 6:30p.m. Saturday June 18th at 7:30p.m. There are more than 80 IFBB Athletes from 18 different countries. Testosterone enanthate represent an oil based injectable steroid. Being both anabolic and androgenic drug it is commonly used steroids in bodybuilding. Testosterone enanthate is well known as one of the most powerful steroid. In dependence of sportsmen goals at the end of the cycles they expect to obtain gain in mass and strength or losing fat. After Testosterone enanthate usage each of these goals can be achieved. Its active life in human body is about 15 days. Bodybuilders who intend to participate in contests should be careful because its detection time is around 3 months. Testosterone enanthate can be combined with practically any other oral or injectable compound. For better results many bodybuilders choose to stack Testosterone enanthate with oral drug like Anadrol or Dianabol and injectable one like Deca or Equipoise. Those seeking higher quality, albeit less dramatic, gains report good experiences stacking test enanthate with Trenbolone. If talking about bulking cycles sportsmen choose Deca. Recommended dose of Testosterone enanthate are from 250mgs-1000mgs/week. Female bodybuilders/athletes should avoid this steroid. Testosterone is widely used steroid in bodybuilding that is taken in almost every cycle. Being the basic steroid, this drug has important impact in the growth and development of body muscles. A popular testosterone compound, well known between bodybuilders/athletes is Testosterone propionate. It represents an oil-based injectable steroid. Testosterone propionate is considering being one of the most effective preparations for gain body mass and strength. Propionate is one of the shortest ester, with active life 2-3 days, that doesn’t mean that it is not efficient. It is the same efficient as other long acting testosterone. The positive side is that it will release more quickly into the bloodstream, which will produce quick gains in size and strength. Being short acting Testosterone propionate also leaves the body quickly, which means that your body can begin to recover from side effects more quickly. Its detection time is about 2-3 weeks. Testosterone propionate is also low toxic on liver. The negative side is that propionate need to be injected more frequent that other testosterone ester. Bodybuilders find effective to inject every 2 other day. Recommended dose for male sportsmen is 50mg-150mg per day. Testosterone propionate is often used among female bodybuilders, because blood levels are easier to control with it compared to other esters. Recommended dose is 25-50mg per day and should be administered every 5-7 days. The duration of their cycle should not exceed 8 weeks.